The US based company Designs & Prototypes supplies compact and portable emission mode FTIR spectrometers since 1984, which has served the research needs of scientists and engineers worldwide. The 102 model (known as the micro FTIR in the scientific community) is a rugged, lightweight, hand portable, remote sensing field and industrial instrument for temperature and emissivity measurements. 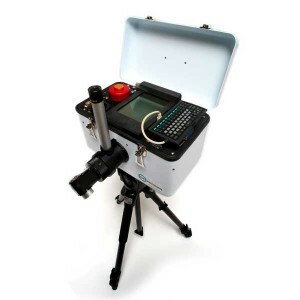 The 102 model is the ideal field instrument for groundtruthing in thermal infrared (TIR) remote sensing acquisitions. For more details, please follow this link: D&P Instruments™.